Loyalty programs are often full of great benefits for existing customers, but how many of them have you seen giving valuable software products for free in addition to the purchased ones? None? It’s time for you to meet GFI Prime. GFI Prime is a program designed to reward loyal GFI Software customers through special access to a selection of smartly engineered software solutions, completely free. To discover the details of this new program, we spoke with Andre Muscat, GFI Software’s Senior Vice President and Chief Product Officer. TalkTechToMe: There are many customer loyalty programs out there and all of them offer generous benefits. So what makes GFI Prime so special? 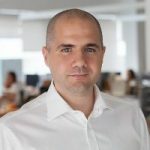 Andre Muscat: GFI Software has been present in the IT industry for more than two decades, and we have thousands of satisfied customers all over the world. Looking for a way to add more value to the relationship with our customers, we wanted to develop a program that would generously reward their loyalty and trust in GFI Software. So we created GFI Prime, a loyalty program for customers which provides them with free access to some of our most popular software solutions. Eligible customers will be able to download and deploy our first-class software products in the areas of security, communications and productivity, complementing the products they already own and use. So, besides rewarding their loyalty and keeping customers at the heart of our business, with GFI Prime we are helping them to build a safer and more reliable IT environment. TTTM: Who can benefit from GFI Prime? AM: If you have been a GFI Software customer for more than one year, then you are eligible to benefit from our new loyalty program and get immediate access to at least one additional GFI Software product for free. 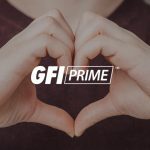 For each GFI Prime Qualifying Product you renew or purchase with a multiple year license or subscription, we will offer you access to one additional GFI Prime product at no additional cost. There are no fine prints or catches – as long as you have an active license for our products, you’ll be able to get additional GFI Prime products for free. 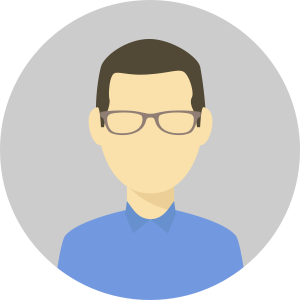 TTTM: How can customers check whether they are eligible for GFI Prime? AM: All existing customers, and this includes the ones that have just recently purchased multiple year licenses or subscriptions, can log in into the GFI Accounts Portal, and they’ll be able to immediately see whether they own any products which make them eligible for the GFI Prime program. TTTM: Which of the GFI products can customers get for free as part of the Prime program? AM: We are starting by including some of our most popular products into the GFI Prime program, in an effort to deliver real value to our customers. Currently four of our products are part of the program: GFI Archiver, GFI EndPointSecurity, GFI EventsManager, and GFI WebMonitor, and the list of claimable GFI Prime benefits will continue to grow throughout the rest of the year and beyond. For each unit or number of seats of the primary purchased qualifying product, you’ll receive an equal number of units or seat licenses for the GFI Prime products. You’ll also get access to version upgrades and new releases, along with free support resources such as Help, Knowledge Base and eLearning & Training, while technical support for these products can be purchased separately from our channel partners. TTTM: What do people need to do to remain in the GFI Prime program? AM: To remain a GFI Prime member, you just need to continue renewing your GFI products. As long as you maintain your GFI Prime membership by renewing your qualifying product, the additional Prime product will remain free. And yes, it’s that simple. TalkTechToMe blog thanks Andre Muscat for these answers, and if you’re looking for more details on GFI Prime, you’ll find them at www.gfi.com/prime. Also, you can use the comment box below to tell us what you think about this new program.